Oh my heavens. I love rosemary. It has quickly become one of my favorite herbs. Luckily, my husband loves it just as much as I do. After making some rosemary candied bacon, I was dreaming of all the other ways I could infuse rosemary into foods we enjoy. 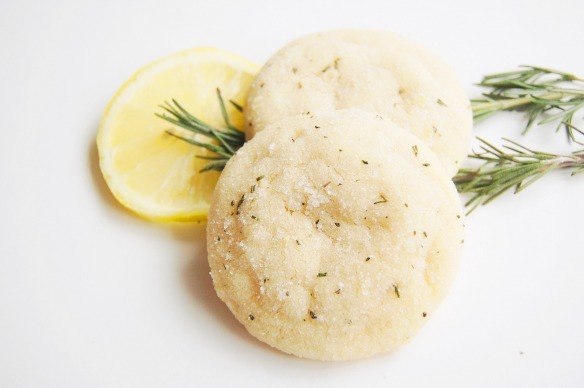 I originally thought about adding rosemary to my go-to chocolate chip cookie recipe (which I will probably still try), but I decided sugar cookies would be the perfect vehicle for some herb infusion. Unless we were decorating cut out sugar cookies, my mom always made World’s Best Sugar Cookies. I’m not sure where the recipe came from, but these soft, chewy pillows of sugary goodness definitely live up to the name. I updated this classic recipe to include rosemary and lemon. As I was dreaming of this cookie, I was reminded of a lemon cream scone recipe that further influenced the flavors. The scone is topped with a mixture of lemon zest and sugar, which I thought would be easy to replicate in the sugar cookie’s outer layer. 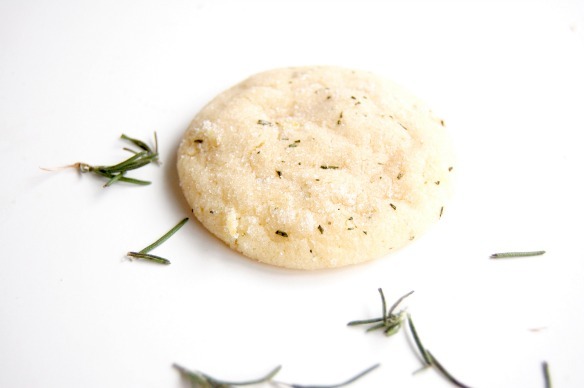 I rolled my sugar cookie dough in a mixture of sugar, lemon zest, and minced fresh rosemary. Minced fresh rosemary goes into the cookie dough as well as the sugar coating. A hint of lemon zest complements the earthy spice of rosemary. These are just perfect. I must admit, they taste delicious straight from the freezer too. Tim and I have topped warmed up cookies with vanilla ice cream and we’ve also enjoyed them with buttercream sandwiched in the middle. This recipe does require chilling. You can make the dough ahead of time and chill overnight. Cookies freeze really well. In the bowl of an electric mixer, cream butter, powdered sugar, and granulated sugar. Add egg and beat until smooth. In a separate bowl, whisk together flour, salt, 1 teaspoon minced rosemary, baking soda, and cream of tartar. Add half the dry ingredients to the butter mixture. Beat until just combined and add the oil and vanilla. Mix in the remaining flour mixture. Cover dough with plastic wrap and chill at least two hours for easy handling. When the dough is chilled, use a large cookie scoop to form 24 dough balls. Stir rosemary, lemon zest, and sugar together using a fork to make sure the zest is evenly distributed. 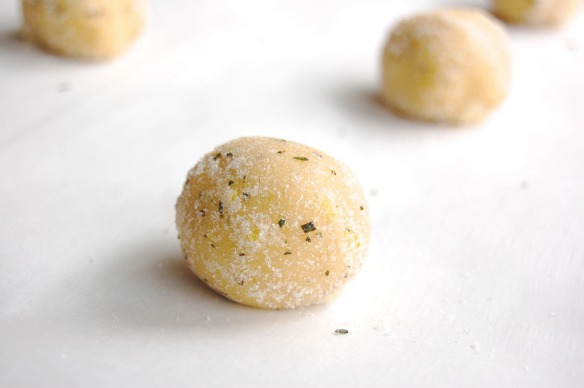 Roll cookie balls in sugar mixture. Bake 10-12 minutes. Let cool on pan for a couple minutes than transfer to wire racks to cool completely. 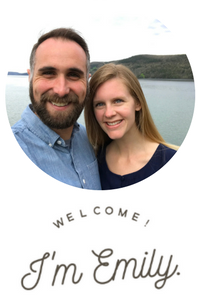 Next ›A Spiritual Third Place? 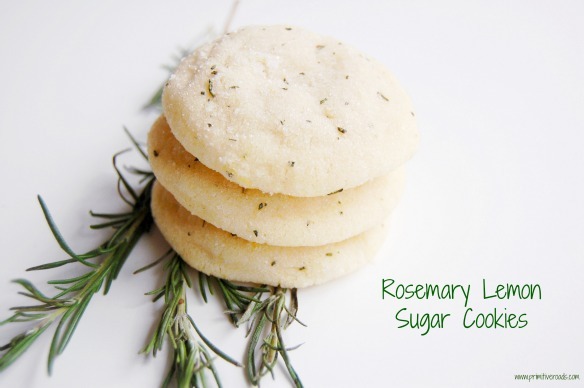 I love Rosemary, I have to make these! These are delicious! Thanks for the recipe – off to make more! So glad you enjoyed these, Kimberly!